Yesterday, Pepsi exchanged our change for some handy household items. We opted for $59.50 in Amazon credit instead of paying the nearly 10% fee. 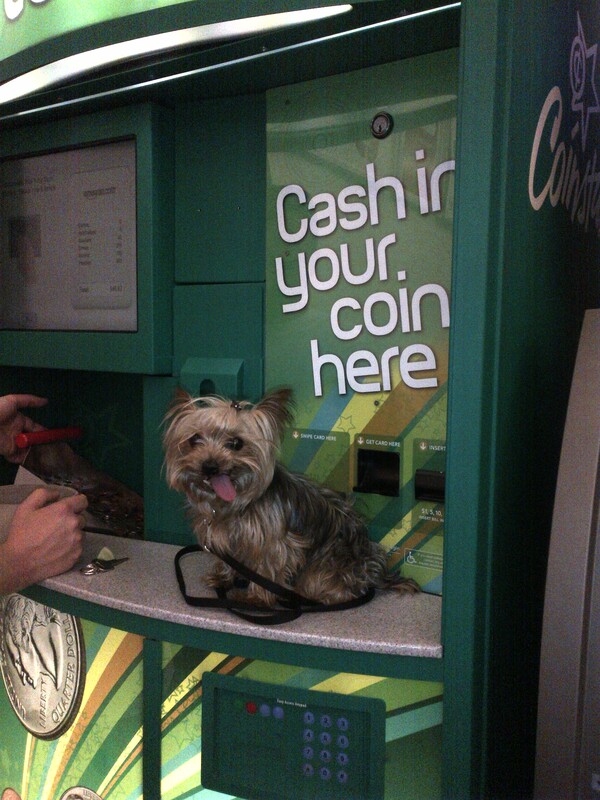 These Coin Stars are very smart. It’s either take 10% of my money up front or entice me to eventually spend 100% of it. Not bad. With our shiny new Amazon credit, we got some cedar balls, a set of washer hoses, a hose mender to attach said hoses to an adapter that’ll convert our full-size washer/dryer to a portable unit that’ll attach to the kitchen sink, some cloth strainer bags to make homemade almond milk and a wireless switch outlet. I would say that’s a pretty good haul for “free” money. I’m very much looking forward to receiving our new stuff. It’ll mean some minor and major fixes to the abode to make life a little bit easier. 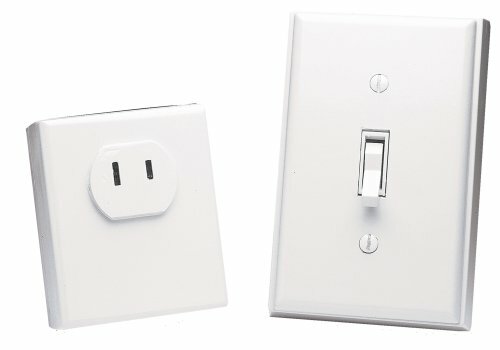 The wireless switch outlet is basically a remote control for anything that you plug into it. I had one for the living room lamp but it finally crapped out. I tried replacing the battery, which was dated 2007, but it still didn’t work. I’ve had it for over 10 years. I’d say that’s a pretty good run for a <$20 device. When the hoses and the mender arrive, we’ll finally be able to use our washer/dryer. We’ve been through so many incarnations as to how to connect it to a water source. My sister‘s man, Nathan, is a general contractor and he explored some water line options for us. The original idea was to have the washer/dryer in the dressing room opposite the bathroom where it’d share a permanent water connection with the bathroom sink. However, it turns out that the plumping is so old that he wouldn’t have been able to connect a new water line to the current plumping without it basically crumbling to pieces. So, the washer/dryer has now been moved into the front hallway closet. It was a surprisingly painless move considering the doorway is 27″ wide and the washer/dryer is 27″ wide. I removed the entire door, set it aside and summoned the Husfriend to help slide the washer/dryer into place. The magical furniture sliders from Home Depot really helped with sliding that puppy across the carpet with ease. 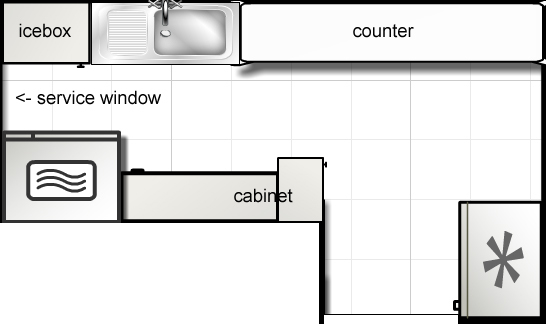 At one point in time, before our time, our kitchen had a window between the refrigerator and counter. Apparently, seismic retrofitting meant having to sacrifice the window. To allow more light into the kitchen, they cut a hole in the opposite wall for what we now call the service window. When you walk in the front door, the “laundry room” closet is to your right and the service window into the kitchen is to your left. This will be the conduit for which water will travel to and fro the kitchen sink. Note the old fashioned icebox that we believe used to drain directly into the sink. I think it’s pretty nifty. We now use it to house our pots and pans. Although our kitchen is small, I think it’s laid out very well with neatly-packed-to-the-gills cabinets that extend all the way to the ceiling and numerous drawers. 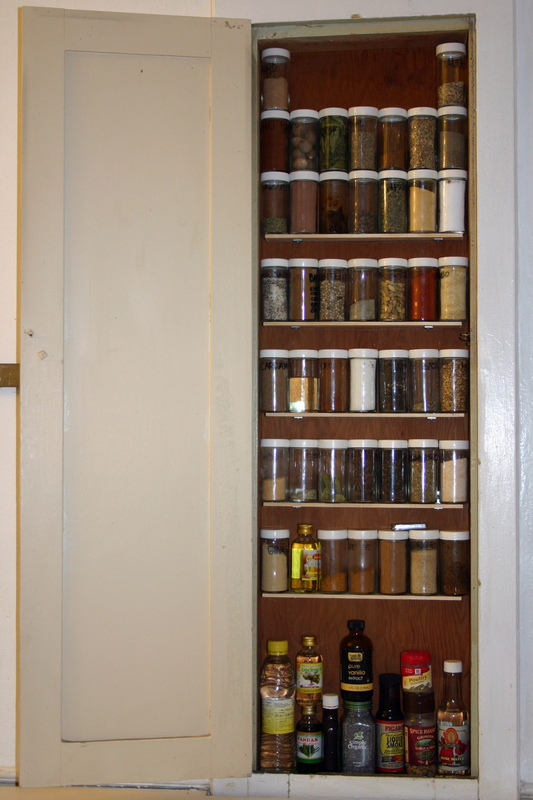 I did a little of my own retrofitting and turned an old built-in ironing board cabinet in the kitchen into a spice cabinet.